1. We’re going on a date tonight. It will most likely take place at home, with plans including, but not limited to: not doing homework, not discussing homework and possibly taking turns spitting on homework from across the living room. That’s one of the bonus’of being married to this guy. I’m a pro spitter now. 2. Its daylight savings time soon and THUS we get one more hour of weekend! Holy moly! I plan on using that extra hour productively, by engaging husband in a rematch of king of the hill. The hill in this case, being our bed of course. This is one of my favorite games to play late at night, right as husband is settling in for sleep. Yes, this may be a stupid idea considering how little sleep we get already, BUT sometimes I just can’t resist. The look on his face when his bum hits the floor is priceless beyond words. That, and I get to feel like a tough guy for a minute, cause he always wins whenever I try to push him around a little. The 30 for 30 round-up goin' up tomorrow! And I thought you were referring to the show... silly me. Hahaha, King of the Hill? YOu guys are too much. I wish I had the same plans, unfortunately I have a test tomorrow. But tonight did include some Lobster Curry, that's kind of like king of the mountain right?? LOVE the color contrast and new location! oh my gosh i luurrrve the sweater and shirt together. you look super snazzy today. and i also can't wait for daylights savings. hello, extra sleep. My husband play's "Steamroller," in which he announces "The Steamroller's on its way!" and then proceeds to roll over me. Then roll back over me. He's nearly 30. He also sings songs about our dog being a chef in a pancake house. You two are so adorable :) Love it! And I LOVE your outfit. Of course I'm going to love it, you have fabulous style lady! ah! i posted my 30x30 today... it makes it seem so real once its published! Thank you for th eincredibly sweet comment the other day! You made my day :) My hubby and I love watch UFC so we have our own MMA fights at home in bed where we go all out and wrestle too. I usually lose but every once in a while I get a really good move in! I love the color in the outfit- usually you seem to wear more neutrals so the splash of brights looks good. PS - looking forward to your 30!!! So cannot wait for daylight savings time - I feel like a bear already, with the cold sweeping through Virginia already - I want to go hiberante!! 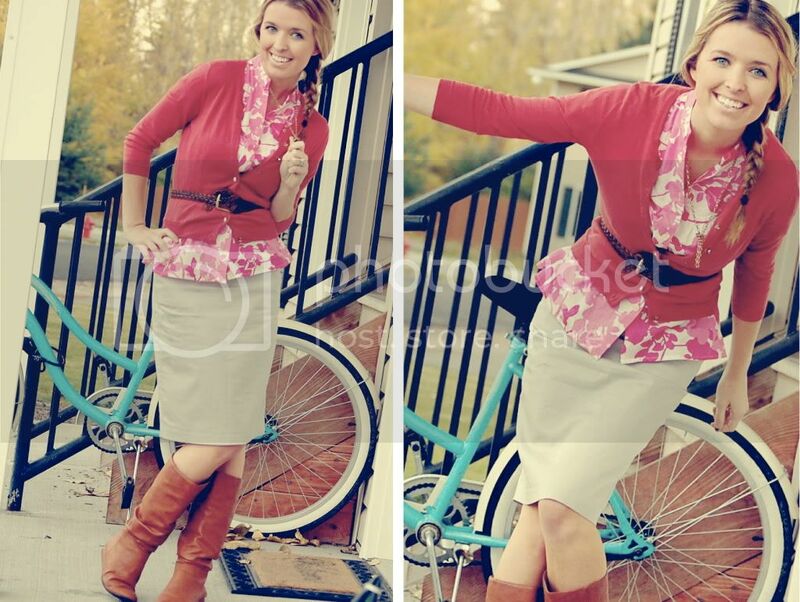 SUPER cute outfit - love the layering, the belting and the colors!! I can't wait to see what you do for the 30 for 30! Awesome layering in this outfit. Love it! :) You look cute in braids! Ha ha I love that you push him out of the bed! Zak does that to me and I just want to strangle him :) We should totally use that f or the shoot! By the way... are we doing it on Sunday!? Also, love the c olor pop. What a cute outfit. love the colors on you--it's different! very pretty lady. and i am prayyyying for the day when my hair is long enough to put in a braid like that. Lovin' the bright colors! Happy homework-free Friday night! Love your outfit! It's so cheery and colorful! Good luck on the 30 for 30! 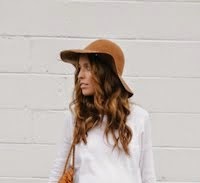 LOVE this outfit, so cute! I love these colors together and how they completely brighten your face! Enjoy the "long" weekend! do you buy your shoes from an f21 store or online? the f21's near me generally don't have treads, so the site is always setting me up for disappointment. Did you win King of the Hill? cutest outfit plus the blue bike in the background?! stop it, stop it right now. I have a bike just like that! I'm obsessed. Too cool. And LOL at King of the Hill. I think I'm going to have to try this with my husband. Girl power!